This entry was posted on Thursday, December 24th, 2009 at 12:13 pm	and tagged with amusing, bee gees, bees make milk, brown and sticky, cannibals clown, chive talking, christmas, cracker jokes, driving me nuts, dyslexic man walks into a bra, fish with no eyes, funniest, funny, funny jokes, giggle, hilarious, humor, humour, jake mcmillan, joke, lame, lame but good, lame jokes, laugh, laugh o, lettuce, mushroom party, no aspirins in the jungle, orange and sounds like a parrot, tip of iceberg, tom jones syndrome, two aerials got married, what's ET short for, why did baker have brown hands? and posted in Fun, funny, humor, humour. You can follow any responses to this entry through the RSS 2.0 feed. « 100 per cent Rubbish! I giggled a bit. Thanks. What’s red and isn’t here? XD… See theses are kind of funny. I found more humor in the jokes I didn’t even understand than those two. Those aren’t even jokes. Those are nonsense statements. I’ll tell ya something that’s funny though… But promise not to laugh too hard k? If you’re not laughing. That’s how I felt reading your jokes. 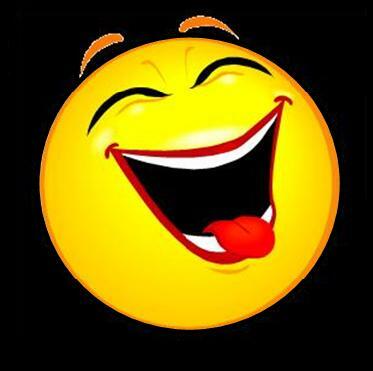 if you are laughing, then God gave you the soul of a light hearted good humored person. Either way, I hope I wasn’t too harsh in anything I said… Especially since I’m replying to this comment that has nothing to do with me and it’s 6 years late, because I can’t sleep and it’s an hour b4 mu alarms go off. Oh well.. Now that’s funny… Painful but like.. Funny in a weird, twisted sort of way. XD cya.